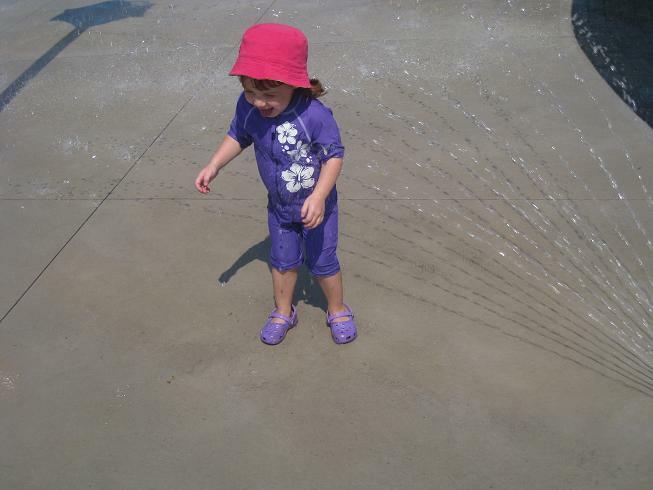 by Erin We just got a brand new splash pad in my neighbourhood!! 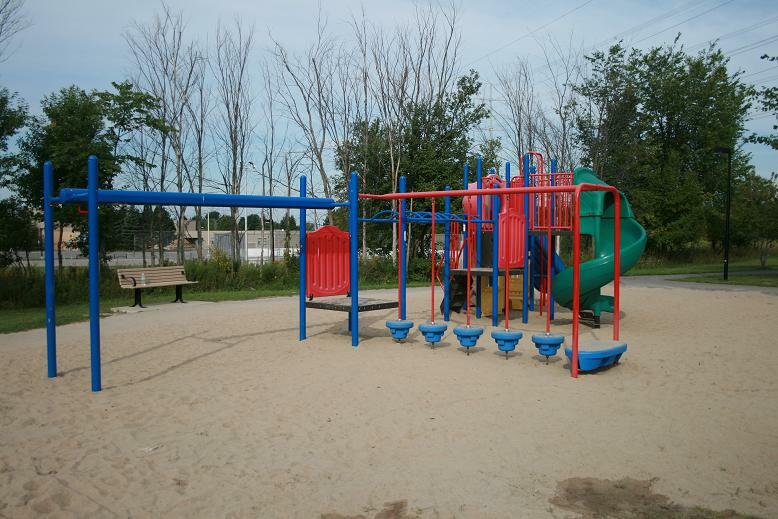 It was added to an existing park with a play structure and swings. 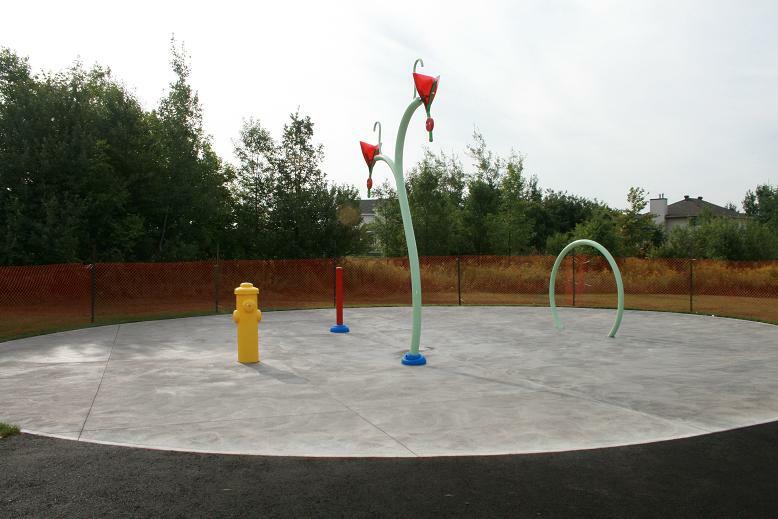 Did you know that the City of Ottawa has almost 100 splash pads? You can find a map of all the locations here. I had hoped that by taking her to some of the Ottawa's awesome splash pads I might get her reacquainted with the water and boost her confidence. Luckily, my plan worked. If you haven't already spent some of your summer hanging out at a Splash Pad, I highly recommend that you plan a visit or two before September comes. I have seen children of all ages, from babies to tweens, having a blast playing in the water. Even if you don't currently have one in your neighbourhood, the is bound to be one within a short driving distance.